Most people know that a sump pump is an important item for homeowners to have if they live in flood-prone areas. However, a sump pump can be very useful in a variety of houses that have basements to protect the home and the furnishings. It is important to learn about sump & ejectors pumps to understand how they work and how we can help homeowners with all their pump needs. Today, sump pumps are found in most new homes with basements and in numerous older homes that are prone to flooding or water buildup in low-lying basements, cellars or crawlspaces. There are two common types of sump pumps. The first is the submersible sump pump, which is housed in a hole or sump pit. Water runs into this pit either through drains or by gravity and is pumped out of the home through a pipe. The second kind of sump pump is the pedestal pump. The motor for this pump is located above the sump pit. However, it works in much the same way as the submersible variety does. Both pumps begin to push water out of the pit through the pipe when the water becomes high enough to activate the pressure sensor. The pipes leading from the pump out of the house will usually be outfitted with a one-way valve in order to prevent the water from returning to the home. Outgoing water may be sent to the lawn or to a municipal sewer system. What Is An Ejector Pump? An ejector pump is similar to a sump pump except that it is used for sewer water rather than standing water or ground water in a basement. These pumps are installed in homes that have a bathroom that is below the level of the city sewage pipes or the home’s septic system. They must push sewage water up to the outgoing pipes. Ejector pumps, also called sanitary sewer pumps or solid waste pumps, are sometimes used to push out water that comes from basement washing machines or laundry room tubs as well. What Pump Services Do You Offer? 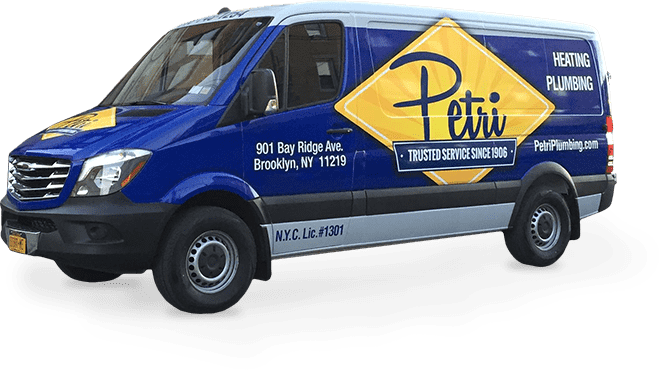 Petri Plumbing has professionals that are available at any time to help homeowners with their sump pump and ejector pump in Brooklyn or surrounding area. We are able to perform emergency plumbing repairs on these pumps to help prevent basement flooding and distressing sewage backup. In addition, we can install new pumps, replace older pumps that are no longer working correctly and perform any necessary maintenance. We work with all types of pumps, including submersible, pedestal, battery-operated, sewage and septic pumps. 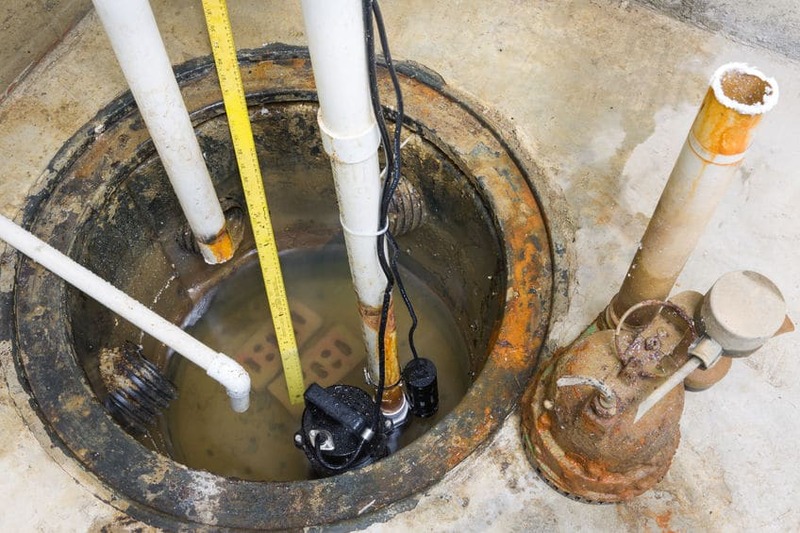 A properly maintained sump pump can remove excess water from a basement and can prevent flood damage and mold growth. Contact Petri Plumbing today at (718) 748-1254 for 24 hour help any day of the year. NEVER WORRY ABOUT BASEMENT FLOODING OR SEWAGE ISSUES AGAIN WITH PETRI PLUMBING & HEATING INC. PUMP SERVICES!